The Environmental Protection Agency has spent $92.4 million in taxpayer dollars to buy, rent, install, and store office furniture over the last 10 years. The furniture shopping sprees equaled about $6,000 for every one of the agency’s 15,492 employees, according to federal spending data made public by the government watchdog OpenTheBooks.com. And the EPA doesn’t buy just any old office furniture. Most of the agency’s contracts are with Michigan-based retailer Herman Miller Inc. According to the contracts, the EPA spent $48.4 million on furnishings from the retailer known for its high-end, modern furniture designs. The EPA has also given business to Knoll, Inc., another high-end shop, spending almost $5 million on furniture from the retailer. Items that the government agency has purchased over the past decade include hickory chairs costing $6,391 apiece, a wooden hexagonal table priced at $5,539, and a drawer for pencil storage that cost $813.57. The agency also spent $73,265 to temporarily remove furniture from an office in Michigan that was undergoing carpeting replacement. The EPA, however, has defended its furniture expenses. "EPA takes its fiscal responsibility seriously," the agency said. "As a result of GSA leases expiring, numerous EPA offices were required to move or consolidate space between 2000 and 2014. New furniture purchases provided the agency the opportunity to obtain space efficiencies." 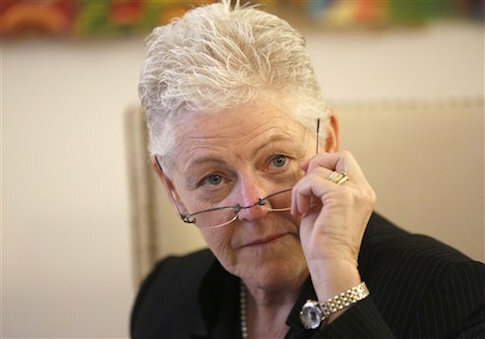 The EPA has been warned in the past to curtail its spending on pricy furniture.